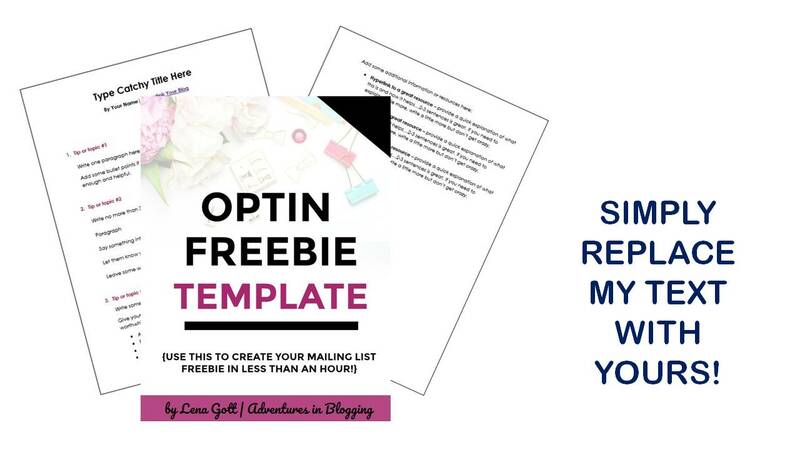 Think you need design skills to create a seriously amazing optin freebie or ebook? You can make product after product if you have the right set of templates on hand. 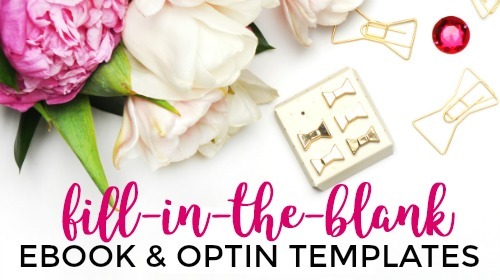 All you have to do is download one of these fill-in-the-blank ebook or optin freebie templates and you can literally make your first one in minutes. Each one contains writing prompts to guide your writing. You don't even have to think of everything to say on your own! Hyperlink to a great resource – provide a quick explanation of what this is and how it helps…2-3 sentences is great. If you need to explain a little more, write a little more but don’t get crazy. 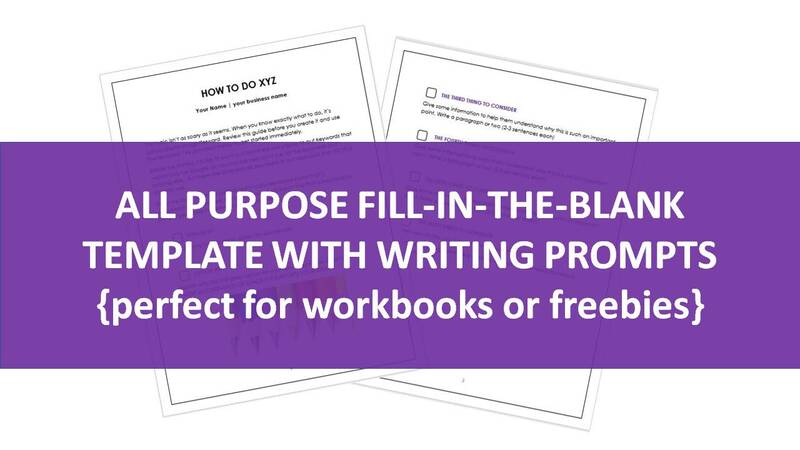 These templates + prompts will save you HOURS upon HOURS of frustration, especially when you're stuck for inspiration. I've used these templates to create DOZENS of products. If you can write a blog post, you can use these templates. 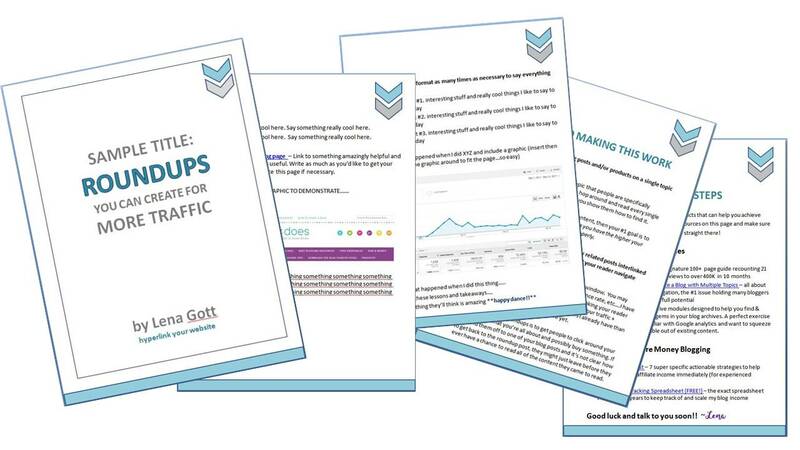 I used this template to create the Traffic Transformation Bonus Roundups Guide. I changed up the colors a bit to be light blue and gray. It's so easy to change the colors if you want another pallette. When you're done replacing my text with yours, simply Save As a PDF file! Easy peasy. 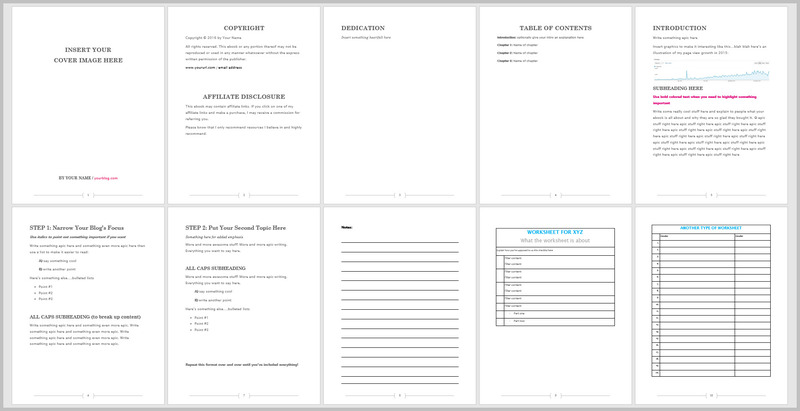 This is the super simple template I used to create the first edition of Traffic Transformation. There are a lot of prompts in this one to guide you as you write sections of your book. This is the template I use when I want a simple download of a few pages that isn't going to be a standalone product or need a fancy cover. Most recently, I used it for a worksheet for my course Adventures in SEO. It's pre-formatted very simply and you can literally make an optin or worksheet with this in 10 minutes. This is probably my favorite template because it has a placeholder for an image and pre-set colors so the document looks fancy even though it's simple to create. Three pages is on the longer side of an optin freebie, so this can be cut down to a simple cheatsheet OR expanded into an actual ebook. When you want to make a straightforward resource list of your favorite products or services to give your readers, this will help you pull one together quickly. 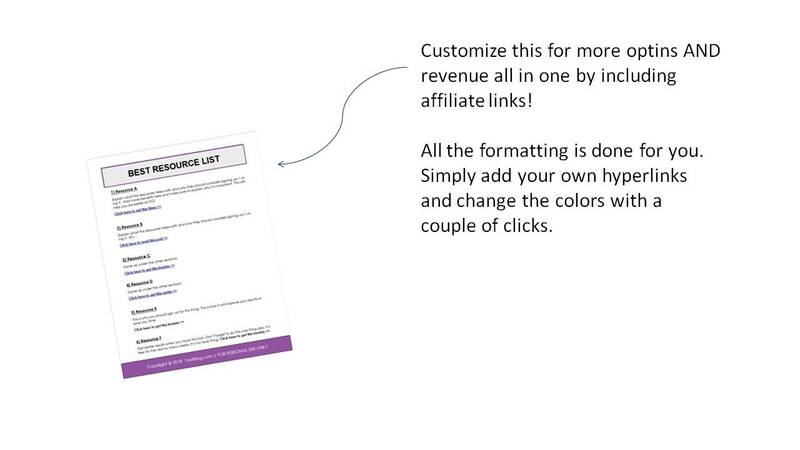 Tip: You can even hyperlink in these and use the resource list to generate affiliate sales! **If you're not familiar with Publisher, don't worry. It's really easy to use and using Publisher allowed me to fit lots of content on one page. Have you ever wondered how I create those amazing ebook and iPad cover images for my products? Included is a video tutorial showing you how I use a simple software program to do so. Once you get the hang of it, you'll be able to create an ebook cover lightning fast (in less than 4 minutes). ✔️ You have tons of ideas but just need a simple way to get them on paper! 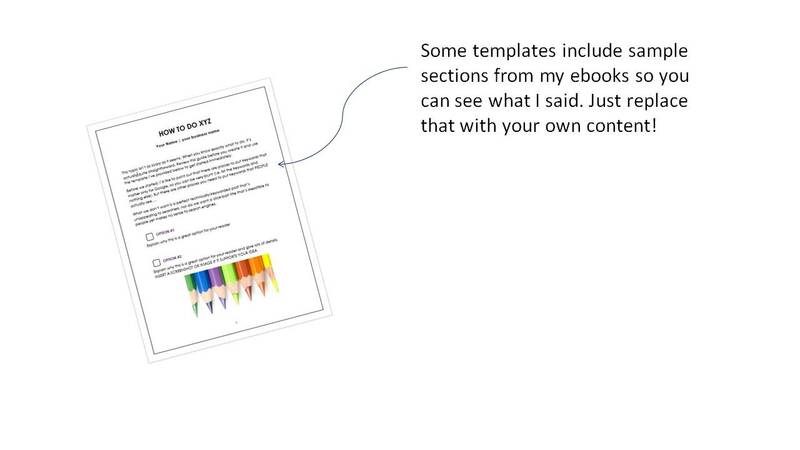 You'll recoup the cost of the templates with ONE or TWO sales of your new book. Can you just imagine how accomplished you'll feel knowing your first or second product is behind you and you can now focus on the best part - earning income from them?! Don't let a simple thing like formatting choices get in your way of diving right in and taking a chance on yourself. Grab these templates + training video and RUN WITH IT.